The RMO-TW Series are portable and lightweight instruments designed for winding resistance measurement of inductive test objects and for on-load tap changer verification. The injection of current and discharge of energy from the test object are both automatically regulated. 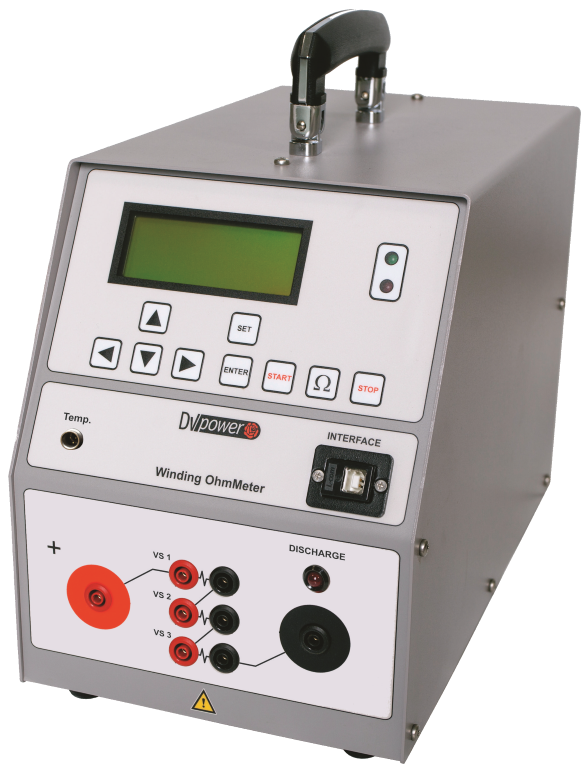 The three independent channels enable testing of three windings in series. This instrument enables measurements of winding resistance in every tap position of an on-load tap changer without discharging between the tests. Problems with switching of the OLTC, such as interruption, can be detected with these measurements. The DV-Win software enables control and observation of the test process, as well as saving and analyzing the results on a PC. It provides a test report, arranged in a selectable form as an Excel spreadsheet, PDF, Word, or ASCII format. 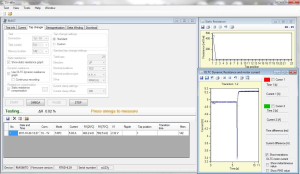 The software provides an OLTC (tap changer) condition assessment through analysis of the graphs representing dynamic resistance values during the tap changer transitions. 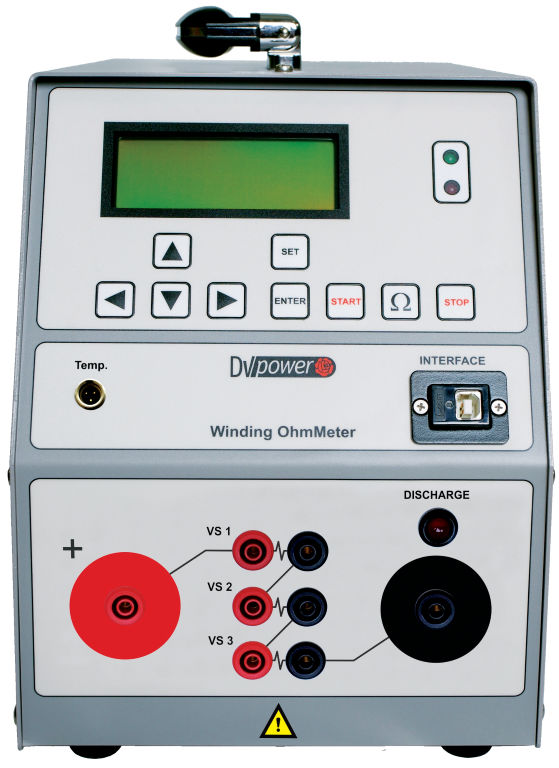 Additionally, the DV-Win measures and calculates the OLTC transition time, the ripple and the winding resistance for each tap changing operation. The software can also perform the calculations necessary for the “Heat Run” test. All results can be exported in the report format. The standard interface is USB. RS232 is optional.